We help you to determine your Asset Sector Allocation. Getting your asset allocation right is crucial to giving yourself the best chance of reaching your financial goals within your preferred tolerance to different levels of asset value volatility. 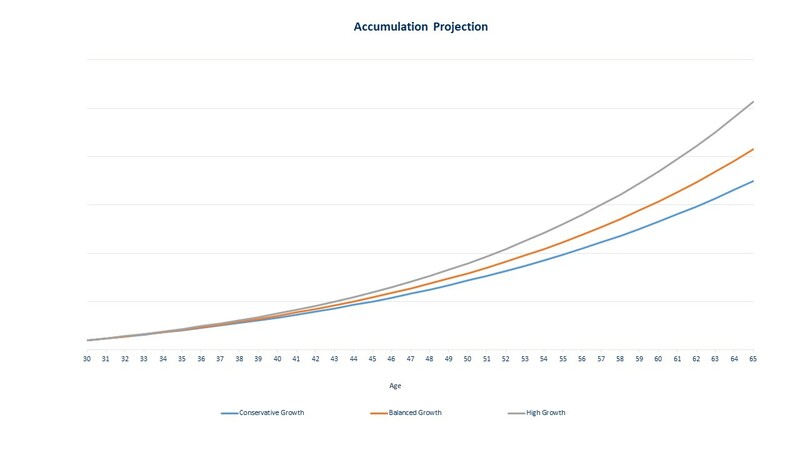 Using our actuarial modelling tool we will determine the optimal asset allocation relevant to your personal circumstances. 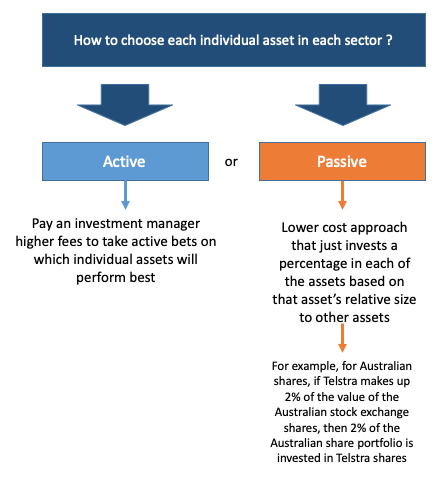 This will ensure that you have an asset allocation that is based on your goals and risk tolerances and not simply based on pre-mixed investment options that may be available in a superannuation fund. We do not invest in exotic investments for our clients ! 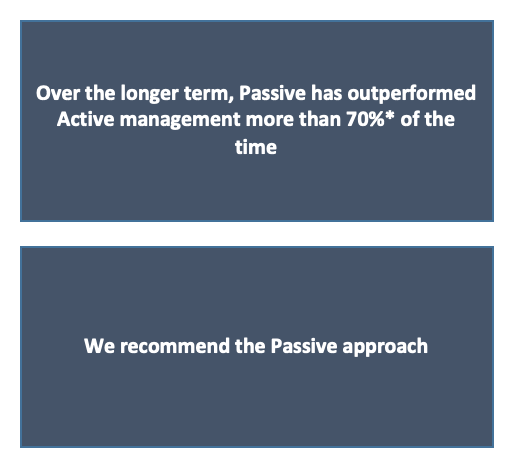 – No alternative asset classes such as pure alpha strategies or infrastructure projects. 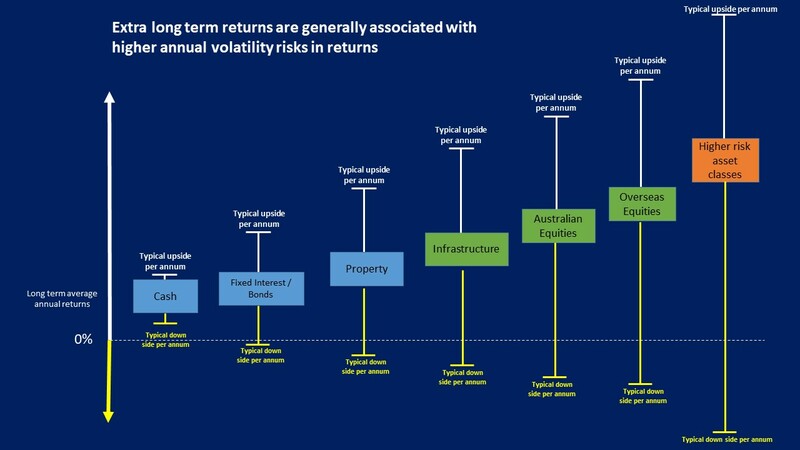 We believe that these asset classes carry too high a level of risk for your superannuation assets. 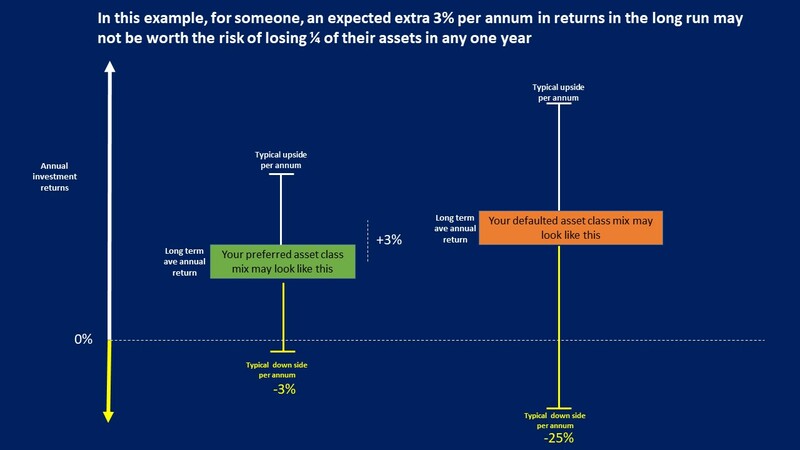 While the potential returns on these assets classes can be very high, they carry a high level of downside risk which we do not believe is appropriate for your retirement savings. If you do wish to have exposure to these types of assets we can provide you access to such asset classes on your assets held outside of super. 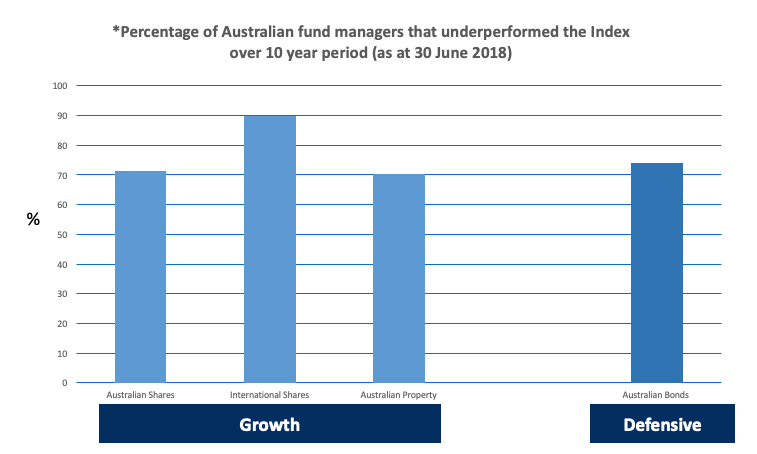 The final graph below shows the relative performance of Australian fund managers vs the index over a 10 year period.